Below is a guest post written by a friend of mine who feels strongly about how disabilities, specifically visual impairments, were handled on The Glee Project. When we discussed this subject, it became evident to me that Ali was accomodated, yet Mario wasn't accomodated in the same manner, perhaps because Ali was a favorite to win and Mario was not. As a visually impaired person, I was pretty excited to see a blind person on The Glee Project. After seeing Mario on the show for a few episodes, I knew he had talent, but I didn't think he would fit in on the show. That being said, this is not about that fact that he got sent home. I agree that he was a weak candidate, but I don't think Mario was sent home for the right reasons. There were some key issues on The Glee Project, primarily between the mentors and those with disabilities. I couldn't believe that they didn't have Braille lyrics for Mario to read. He had to rely on others to tell him his lines or what was available. It wasn't until the second episode where they emphasize, "Oh, hey, we did this really nice thing for you! We got you a Braille copy." Oh really? Gee, thanks. Let's be real here - Mario was cast because of his disability, and the producers have the nerve to act like Braille text is a favor? How Mario was supposed to feel was clearly not a concern. I am actually surprised he never mentioned it. As far as teaching choreography went, the team had no idea what to do with Mario. They gave him generic directions which for a sighted person would have been fine, but not for a person who can't see what they actually look like. "Mario, you didn't move enough" hardly cuts it when you don't explain to him how he should be moving. Maybe the problem isn't Mario's acting, but the mentors' directions. If there is to be a third season of The Glee Project, perhaps the producers should do their homework, rather than casting people that are different just because they're different. Mario could have made it farther in the competition if he was treated fairly. Do you want an example of what Mario probably experienced? Close your eyes and have someone direct you to do a dance move using words. Tough, isn't it? It's even harder if you've never seen that dance move. So, Glee Project, I fully support you giving people with different abilities a chance to be on television, but treat them right - they way you'd want to be treated. DIY Network's Interactive Home Building Series "Blog Cabin" is back for the sixth season. It's a popular "crowd sourced" renovation show, launched in 2007. What makes it different from a number of other such renovation shows is the aspect of interactivity and the audience engagement. Even the shows' "slogan" is "You Design It, We Build It, You Could Win It!" "This is truly a unique experience for our viewers," says Chris Grundy, the host of the show. The end result of the renovation of an old farmhouse is based on the votes of six million viewers, who all had a say on all aspects of the renovation - kitchen tiles, bathtubs, window treatments and everything related. "Nowhere else on television can viewers interact with our experts, weigh-in on the renovation and then enter for a chance to win the home they helped design. Our commitment to viewer engagement is what separates DIY Network from everyone else, " Grundy continues. From August 13, when the sixth season premiered, until September 28, 2012, viewers can participate in the Blog Cabin 2012 giveaway twice a day. For more information about it, go to DIYNetwork.com/BlogCabin. But that's right, the viewers had a say on how the house will be renovated and the viewers also have the chance to win the house for themselves. This time they are renovating a 3,000 square foot 1880s Cape-style farmhouse in Waldoboro, Maine. The host of the show is Chris Grundy, also featured in the show areother DIY Network experts such as Desperate Landscapes' Jason Cameron, House Crashers' Josh Temple, Bath Crashers' Matt Muenster, just to mention a few names. Throughout the series, the host Grundy is documenting the transformation of this farmhouse that boasts 450 feet of waterfront property. DIY Network is available across US on DISH Network Ch. 111 and DIRECTV Ch. 230. Learn more about the series at DIYNetwork.com/BlogCabin. I was hesitant to watch E! 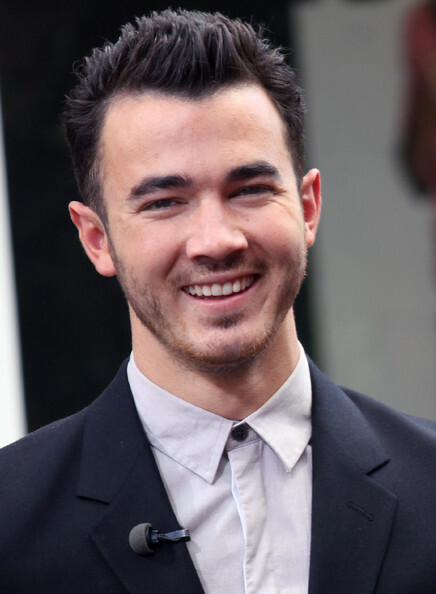 's new show Married to Jonas because it looked, well, kind of dumb. In that department, it didn't disappoint, but it was a cute show. The show opened up with Danielle (Dani) Jonas laying in bed with full makeup (clearly staged), Kevin Jonas telling Dani that he wants to start a family, and Dani's dad Bucky Deleasa walking into the house unannounced. This opening scene told me that this 'reality show' is incredibly staged. A few scenes later, we we saw the Jonas brothers practicing their music. At this point, it was announced that they'd be releasing a new album, and it became evident why this show hit the airwaves now. The Jonas Brothers will have a challenge recapturing their audience during the generation where Justin Bieber and Selena Gomez rule the teen scene. Their goal seems to be to capture an audience a bit older than the teen set, like their formerly teenage fans who are now in thier twenties. The main problem I had with the show is that Danielle and Kevin, the main characters, don't come off as terribly interesting. It's the family - the less featured characters - that make the show watchable. Danielle's family makes a great impression - they're close knit and a lot of fun. Kevin's family, on the other hand, is interesting but not in a great way. The first episode featured a scene where Kevin and Danielle had dinner with the Jonas family, and I actually felt a little uncomfortable when Kevin's parents played good cop/ bad cop talking about whether Kevin and Danielle could have a baby at this time. Married to Jonas was slightly reminiscent of Newlyweds with Nick Lachey and Jessica Simpson. Danielle said some ditzy things and other people had to correct and console her. Unlike Jessica, Danielle doesn't have a lot of expression or personality that shines through. She doesn't have the 'lovable' factor that Ms. Simpson had - in fact, when she's arguing with Kevin or in the confessional, she looks like she's a little bit comatose. My opinion on the show? Skip it. It's good if you're flipping channels and looking for some fluff, but if you're going to DVR some shows, skip this and choose Beverly Hills Nannies or Dance Moms instead. Below is your super short synopsis of The Glee Project finale. There's no need to drag this out - if you want the full story, you'll just watch the episode. This week's topic was Glee-ology. The finalists - Blake, Aylin and Ali, were given their final homework song - You Can't Stop The Beat from Hairspray. The former contestants were brought in as backup singers. Chris Colfer was brought in as the celebrity guest. He chose all three contestants as winners. The last group number was Tonight, Tonight by Hot Chelle Rae. The theme for the video was a high school prom. Aylin was sneaking out to prom. Blake was a popular but humble prom king. Ali was a flirty mean girl. All three contestants had to do last chance performances and got to choose their own songs. Damian McGinty, last season's winner, was brought in as a special guest. Aylin chose Rolling in the Deep by Adele as her last chance performance. Ali chose Popular from Wicked. Blake chose I'll Be by Edwin McCain. Abby Lee opened the episode by complimenting the girls on their winning streak, but following it up by saying that she wanted to keep it going. Abby made it clear that Kendall was only a guest on the team and wouldn't be on the pyramid. Then, Abby announced the pyramid. Brooke was on the bottom for never saying she was in pain last week. Paige joined her because of her injury. Mackenzie, although she danced well, joined the bottom row because she cried last week. Maddie and Chloe took the second row. Maddie was there because although she won, Abby wanted her to win by more points. Nia took the top row, and all of the girls gathered and hugged her. Nia was named the dance captain of the group. Abby announced that the girls would be going to Starbound in Myrtle Beach, South Carolina. Kendall and Mackenzie got a duet and Chloe got a solo. The group number, called Take It, featured four girls dressed the same and a happy girl dressed differently. While the same-dressed girls want to be like the happy girl, they can't, so they get the happy girl to be like them. The moms didn't like this dance. Christi said the storyline makes Abby's dancers look like mediocre clones. It was noted that the dance makes it look like Maddie's the best and the other girls want to bring her down. Melissa was offended, of course, which led to a Christi / Melissa fight about who's a liar...and Christi accusing Melissa of having an affair with her boss. After Melissa walked out, Holly noted that Melissa's smart and knows exactly what she's doing. She shouldn't be underestimated. Abby walked into the room with the moms and asked where Melissa was because she and her kids were missing. Then, we flashed over to Cathy and the Candy Apple's Dance Studio. Cathy announced that Kendall had jumped back to Abby Lee Dance Studio, so they needed to beat them. Cathy also noted that she brought the choreographers that she previously hired back because they want Cathy's team to beat Abby Lee's. Cathy's dance, called On The Edge, is one that Cathy loved. She seemed really confident with it. Abby charged team captain Nia with calling Maddie to get her to class. Around the same time (or at least in TV editing-land) Melissa decided to bring her kids back. Abby was mad because her team lost practice time because of Melissa. Abby got wind of Cathy's team's plans, including bringing in an additional boy so Justice and the other boy can do a duet to compete against Kendall's duet. Justice would also have a solo, so Abby gave Maddie a last minute solo so she could try to beat him. The moms, especially Jill and Christi, were angry about this. Abby worried about the quality of the duet and Maddie told Abby that she doesn't want to do a solo. Maddie didn't know what to do because her mom didn't want her to do a solo and Abby did. At the end of the argument, Melissa made it clear that she didn't want her daughter trying to learn a solo the day before the competition. At the competition, Abby pulled Jill aside to ask if she'd ever heard of the kid who's dancing with Justice. His name was Drayson or something like that. Jill was convinced that Drayson wasn't one of Cathy's students at all, and Cathy didn't hurt this theory by saying she'd be keeping Drayson hidden because no one knows who he is. Chloe, who Abby expected to beat Justice, danced first. She looked great. The song wasn't my style but Chloe's dancing was great and her costume was pretty. I had a good feeling about Chloe winning first place...until I saw Justice. Wow, just wow. With this red hair and red costume, he looked like a wild animal (in a good way) and his dance was incredible. I think Justice took this one. Abby was clearly concerned because she lectured Maddie on why she should have done a solo so she and Chloe were against Justice. The group number followed. I really liked it. The fight scene in the dance was done so well, and the message was strong. This song, in my opinion, could be a winner. Cathy's team went on next. Before they could begin, Cathy began screaming 'stop' from the audience because a chair prop was missing from the stage. Fortunately, the team was able to start again. Unfortunately, the dance was...weird. The outfits seemed a little inappropriate and the kids pretended to get electrocuted at the end...or something. Very strange. The solo winners were called, and by a small margin, Chloe took second place to Justice's win. How did Abby cope? She said judges favor boys to keep them interested in dance. In the group number category, Cathy's team took third place and Abby's took first. Duets were last. Abby was convinced that her girls would lose to the boys. I wasn't as convinced after seeing both dances. And I was right! The boys took second place and the girls took first. Kendall and Mackenzie rocked it! Abby first blamed Chloe for killing her perfect win, then went to Cathy to gloat about her success. The pair started fighting, like usual, and then the episode ended. Based on the previews, it looks like we'll get another big argument next week...shocker. This season, I think there are some shows that reality TV fans should be watching and some that they can skip. Below are my thoughts on what to watch, what skip and one show that I'm super excited about. Beverly Hills Nannies. As the season progresses, it gets better and better. The nanny/mama drama is fun to watch, and the emotions we see are very real. This show does a good job of making us feel like we really know the people on it. For example, I'm rooting for Kristin's business to succeed, want to tell Lucy that she would be more likeable if she didn't talk as much, and comfort Amber when Ari said they're practically the same age (I don't believe it) and that she needs to get her life together. The Glee Project. While the season's just about over, I'd recommend catching up on this before Tuesday's finale. This season featured a lot of emotion, some brutal challenges and some surprise eliminations. It's a good watch even if you're not a Glee fan. Dance Moms. While Dance Moms Miami didn't hold my attention after a while, I can't get enough of the original dance diva: Abby Lee. I'm always excited to see what semi-real, semi-staged scenario will come up next, and it's fun to cringe when Christi goes from zero to sixty in seconds. Plus, hearing Christi insult Abby is highly entertaining. I'm Having Their Baby. This show features pregnant women as the prepare to give their babies up for adoption. This show provides an interesting look into why women choose adoption for their children, the pain they feel when they have to make this choice and the bonding moments between a birth mother and a child's adoptive parents. In an episode I watched, I gave 22 year old Sydney so much credit for choosing a transgendered person as one of the parents for her baby. She knew what a gift it was to give that family the gift of a child. It was heartwarming to watch. Real Housewives of New Jersey. While I'm kind of over this show and have been ever since Melissa and Joe Gorga were added, the upcoming episode is one you don't want to miss. On this episode, we'll hear Joe Giudice answer the phone by saying "hi, baby" and call his wife Teresa Giudice the c-word. I'm not going to say Teresa hasn't made a ton of mistakes, but I think she's done them because Joe hurts her and she thinks she has to act strong and combative to get through it. Hopefully this episode will allow the viewers, and her co-stars, to see what's really going on. American Gypsies. While the first episode was novel, the following episodes became stale. After the extreme glitz and glamor of My Big Fat American Gypsy Wedding, the more relatable topics shown on American Gypsies just don't hold up. Mama Drama. I was so excited about this show when it was supposed to come out, and was disappointed when it was pulled from the lineup and delayed. Now I see why VH1 put it on the back burner. I got through half of an episode and couldn't stand watching it anymore. I tried a second time with the same result. Sorry, cougar moms! Toddlers and Tiaras. I'm not going to lie - I watch this sometimes. But we're going season after season after season of the same petty stuff. I don't necessarily think this a show that you should avoid, but it's not worth watching if you have something better to do. Abby's Ultimate Dance Competition. This show will feature moms and their exploited, er, talented children as they battle it out to win a $100,000 cash prize. Each week, a mom-and-kid duo will be kicked off, a situation in which I'm sure we'll see children handle with grace while their moms scream in anger. This show seems to be reminiscent of VH1's I Know My Kid's A Star, on which we met crazy mom Rocky who later appeared on Tough Love. That show was absolutely crazy, and I'm sure this one will be the same. I've been following season two of The Glee Project, and I'm pretty sure we have an obvious winner. Why? Well, there's a couple of reasons I think this person will win, which I'll detail below. I think the winner will be....Aylin! 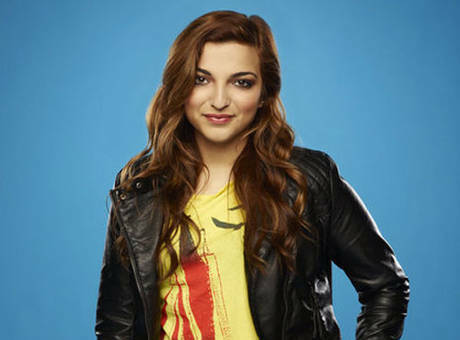 In my mind, Aylin is the clear winner because she's different than any character that's ever been featured on Glee. Aylin is very much an individual - she knows herself and is comfortable being a free spirit, despite coming from a religious Muslim background. As she notes on the show, no one on TV looks like her, and because Glee likes to break the mold, it seems completely natural for Glee to bring Aylin on board to break that scenario. Uniqueness aside, Aylin is pretty, talented and believes in herself, all of which make her a good candidate for the guest spot on Glee. While she would only be signed on for a seven episode story arc, I can see a long-term storyline being written in for Aylin. I would guess that she'd be cast as a flirty girl, possibly a bisexual one, who will come between Santana and Brittany while fighting against her conservative family's wishes. I think Aylin's unique look and background give Aylin a major advantage over her competitors. The show already has Kevin McHale's character Artie in a wheelchair, so Ali's situation won't be completely unique. And Blake, while he's talented, doesn't have the stand-out factor that Aylin and Ali have. Plus, guys dominated the winners circle last season, so it seems natural that a female would take the prize this time. Do I think Aylin is the right choice? Absolutely. She had the star factor right from the get-go. She has a fun personality, the drive to succeed and a unique look and story. I actually think she's been pegged as a potential winner right from the start. Others, like Lily and Shanna, never really had a chance, despite their amazing talent, because competitors like Mario, Aylin and Ali have unique stories. If the show wanted to go in a new direction (no pun intended), it'll have to go with someone with a distinguishing factor. Simply being plus-size or a country girl doesn't have that - being Muslim, in a wheelchair or blind does. I will admit - I'll be totally surprised if Aylin doesn't win. I think Aylin will get the spot, Ali will be in second place and given a one episode spot or something, and Blake will come in third. But I could be completely wrong. We'll have to wait and see! At the beginning of this week's episode of Dance Moms, we were reminded of Paige's injury from the last episode (about which Abby gave the kids a lecture), and were told that Maddie would be missing rehearsals to film her scene in Drop Dead Diva. Abby congratulated the soloists from last week because they all placed within the top ten. Abby announced that the girls would be going to the Starbound competition in Philadelphia, Pennsylvania. Next up was the pyramid. Paige, Chloe, and Mackenzie took the bottom row. Brooke and Nia took the center row, and Maddie, as usual, took the top. The group number, called Alouette (the French song) would feature all of the girls except for Mackenzie. Mackenzie, Maddie and Brooke were given solos. Chloe and Paige were given a duet. The fact that Abby offered Chloe and Paige their long awaited duet this week clearly wasn't a coincidence. I have no doubt that this was scripted, and in the off chance that it wasn't, Abby knew that she could offer the solo wouldn't happen. As it turns out, Abby (or the producers) were right - Paige wouldn't be dancing for four to six weeks. Paige wasn't the only one with an injury. The moms noticed that Brooke seemed to be in pain. This wasn't a good week for Kelly's daughters. Upon hearing of Paige's long-term injury, Jill, always an opportunist, decided to try to weasel Kendall's way back into the group. Acting as if she cared, Jill interrogated Paige about who'd be taking her place. Then, she went to Abby to ask if Kendall could take Paige's spot. Abby wasn't going for it. Abby reminded Jill that she's betrayed her by going to Cathy and the Candy Apple's team. In a rare turn of events, I was Team Abby for a few minutes. Melissa approached Abby to let her know that Maddie would be flying out to film her guest spot on Drop Dead Diva. Abby told Melissa that the group comes first so Maddie better be ready to jump back into the group when she returns. Now, I'm not convinced of how truthful this scene is, given that there was a Drop Dead Diva commercial on a few minutes ago, and both Abby and Maddie were in it. So either they appear in absolutely no scenes together or this scenario was set up by producers. Well, the whole Drop Dead Diva thing was set up by producers, but I'm referencing this part in particular. Brooke began to practice her song, which was an intense piece about Anne Frank and the Holocaust. In the moms' lounge, Kelly asked if someone could tell her Anne Frank's story. After she asked, the camrea flashed over to Holly, who looked absolutely appalled. Holly couldn't believe that Kelly didn't know about this major piece of history. As Brooke danced, Abby noticed that she was in pain. She let Brooke rest, but she said she needs to be back the next day. Next, Mackenzie practiced her acrobatic solo called You Know You Love It. Abby noted that she's been making major improvements. Instead of dropping the formerly Paige-and-Chloe solo, Abby auditioned some of the girls to be Chloe's counterpart. Abby auditioned Nia first but said the girls have different dance styles. Kendall was given the next opportunity. In the moms' lounge, Jill got attacked because she's forcing Kendall's way in at the expense of their children. In the confessional Jill defended her actions, saying she's doing what's best for her daughter. Holly and the other moms went down to see Abby, at which point Holly said that Nia should be participating in the duet. Abby didn't like this very much - she said she didn't have Nia in mind when she chose this music, so Nia would only take the spot if Abby thought it would help her win. Because of all of the injuries, Maddie's absence and the fact that the group number looked messy, Abby put Kendall in the group number. She hoped that would get Jill off her back. Ultimately, Abby chose Kendall for the duet, but said she'd have a lot of work to do. Kendall reported in to her mother, and when she did, you could practically see flames of hatred come out of the other moms' eyes. Maddie returned from filming Drop Dead Diva and practiced her song This Is Me Over You. Abby noticed that Maddie wasn't where she needed to be because of the missed day of rehearsal. While Maddie did practice while on the TV show set, apparently it wasn't enough. The girls performed their group dance first. It was cute, but Abby noted a lot of mistakes. The moms disagreed with the moms' happy sentiment - they enjoyed it. I don't blame them - this was a fun song, and that's quite different than many of Abby's brooding numbers. Ultimately, the girls took first place in their division, so Abby didn't have to worry. Brooke was set to dance shortly, and she was in a lot of pain. Abby seemed to think that pain should motivate Brooke to work harder, but Kelly was concerned. Kelly, with tears in her eyes, told Abby that Brooke shouldn't perform. She was clearly upset. Unfortunately, the reactions from Abby and Jill were less than ideal. Abby accused Brooke of pulling her solo because she knew there was still competition, and Jill said she wished that Brooke did this sooner so Kendall could steal her solo. Mackenzie performed next, and her dance was adorable. She was so emotive and it was obvious that she was really into what she was doing. This was great. I love to see Mackenzie succeed, especially because she often gets left out of group numbers and isn't given solos due to her young age. Her dance earned her a second place title. Maddie's performance followed. She was great as usual. This wasn't a surprise. This dance earned Maddie first place in her division. Chloe and Kendall performed Chasing Answers, their duet, next. The dance looked good, but Abby criticized the pair for not driving the dance home at the end. Still, the girls stole first place in their division, and Jill smugly made note of Kendall's role in this win while in the confessional. Abby asked Maddie to perform her Drop Dead Diva dance for the group. Christi accused Abby of rubbing Maddie's success in everyone's face. After some arguing, Maddie left the room. Christi continued her attack on Abby, saying that Abby's purposely separating Maddie from her friends. Abby retaliated by calling Chloe a sneak, and Christi did not take that well. Christi then said that maybe Abby's a virgin because nobody would (insert expletive here) her. Next week, we can expect to see an Abby Lee vs. Candy Apple's showdown. Should be fun to watch the showdown! Last night, TLC aired a reality special called My Teen's Pregnant and So Am I. The show features mothers and daughters who are pregnant at the same time. This concept, in and of itself, is somewhat disturbing. The fact that we're rewarding this phenomenon with a reality show is even worse. Both Kristen's mother Melissa and her stepfather clearly were not happy about Kristen's pregnancy, but they supported her. This family, despite Kristen being one of way too many kids (eight kids, after the baby was born), seemed relatively normal and moral. Even after Kristen's child's birth, her boyfriend wasn't allowed to sleep over because it would set a bad example for the younger children. The more disturbing mother daughter pair was Ann and Liz. Ann was actually excited about Liz's pregnancy. She was a teen mom herself and was proud of the friendship she shared with Liz. She said that Liz and her boyfriend are practically married, so they were solid and prepared for a child. During the show, Liz was living with her boyfriend and his mother, showing that she too approved of their situation. I do have to give credit where credit is due - Liz did seem responsible for her age. She worked (at Sonic, it seemed from the blurred out logo on her shirt) until she got fired for being late because she was taking care of the baby. Throughout the show, she took good care of her son, and she had plans to continue her schooling. I found one scene between Liz and her mom particularly disturbing. Liz and her mom went out to eat, and they discussed Liz's situation as a teen mother. (Liz didn't realize it would be so tough, by the way.) Her mom turned to Liz's little sister, Arianna, and seemingly approvingly, said the family would deal with it when the time came. Liz, fortunately, recommended that Arianna and her new baby sister Victoria wait to have children until they're older. While I don't think this show necessarily glamorizes teen pregnancy, I think it still paints a pretty picture about the situation. Both Kristen's boyfriend Derek and Liz's boyfriend Chris remain in their child's lives, which doesn't always happen in teen relationships. Plus, both girls had supportive families, and again, this isn't always the case. If you haven't watched My Teen's Pregnant and So Am I, I recommend that you do. It's interesting to see the dynamics between the mother daughter pairs - the supportive moments, the angry moments, the happiness and the sadness. It provides a good look into an unlikely scenario. I warn you though - when you watch this, you'll cringe at times, and you may wish that you can reach through your television screen to shake these people until they realize that what's happening is kind of crazy, and that people under the age of 18 should seriously not try to get pregnant.